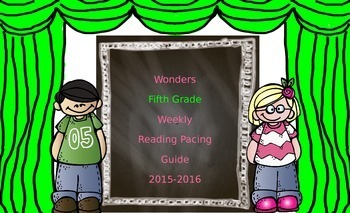 This easy to use Wonders Reading Pacing Guide is a valuable addition to your reading plans. 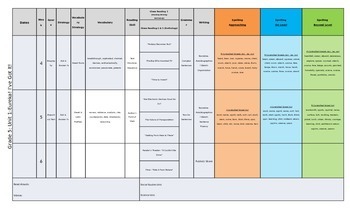 Print a copy and have it on your desk for easy referencing. Each table includes dates, week, genre, strategy, vocabulary strategy, vocabulary words, reading skill, close reading 1,2, and 3, grammar skill, writing, and spelling words. 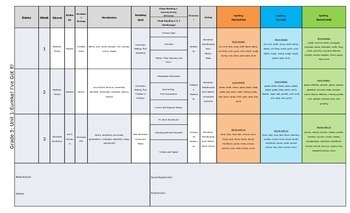 Everything you need at your fingertips! 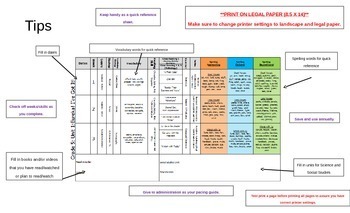 **PLEASE NOTE When Printing: You MUST print on legal paper (8.5 X 14) and change your printer settings to legal paper and horizontal format.